I was down in Palo Alto last week to attend the AAAI session on Artificial Intelligence for Development. The proceedings should be available online soon. I was there to connect with other theoretical computer science and find out how they have been applying machine learning to “development”. It turned out that development means mostly applications to health, education, and agriculture in this crowd. I was also there to share a very concrete challenge problem that I’ve been dabbling in here at IHME, which my colleague Sean Green presented our short paper on: the Verbal Autopsy. I got some good news for the weekend, an opinion piece that I wrote together with some of the other post-graduate fellows at IHME was published online as a Science e-letter. It is titled U.S. Health Care Reform: The Case for Accountability and it’s about the measuring the outputs, outcomes, and impacts of the reform, whatever shape they end up taking. Disparities in health outcomes in the U.S. are unacceptable. A healthy life expectancy at birth in the U.S. ranks behind 28 other developed countries (1). 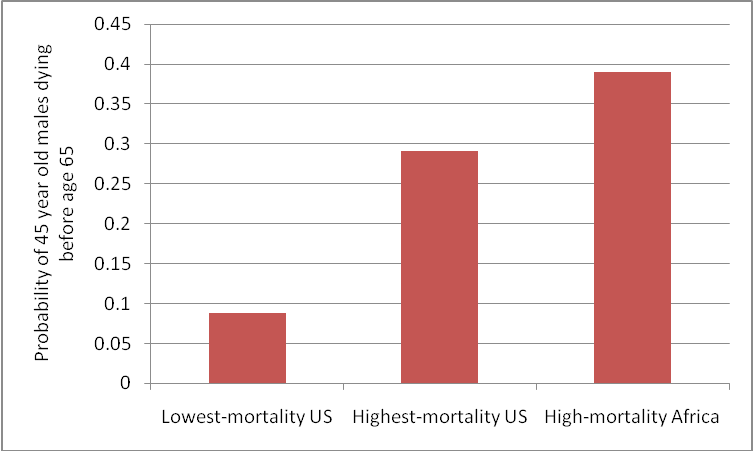 Sizable groups in the United States have mortality risks resembling those in sub-Saharan Africa (2), including urban blacks between the ages of 15 and 64 living in counties with high homicide rates. On average, Asian women lived 21 years longer than high-risk urban black males in 2001 (2). Although life expectancy for most American women increased between 1983 and 1999, life expectancy for women in 180 counties in areas such as Appalachia, the Deep South, the southern Midwest, and Texas decreased by 1.3 years (3). 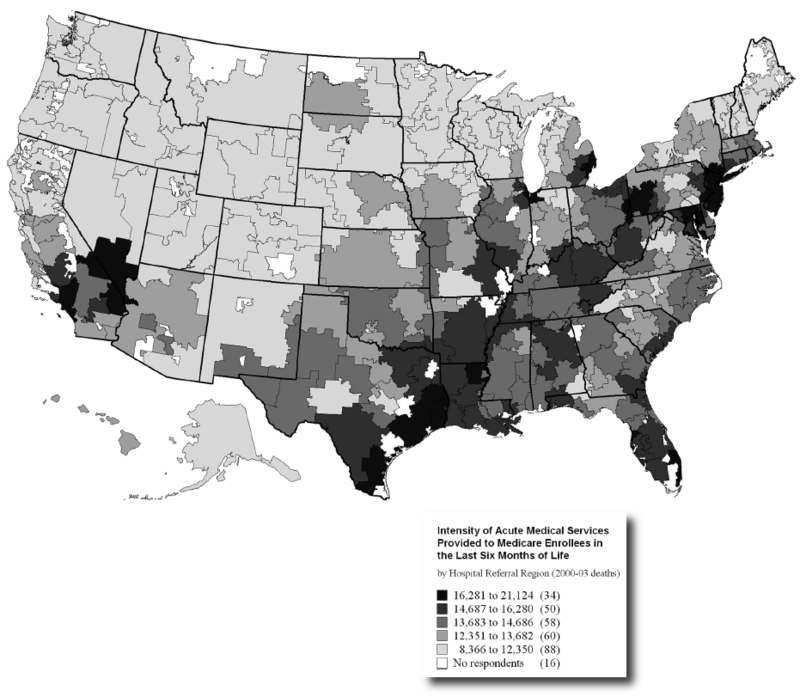 Probability of a 45 year-old male dying before age 65, 2001, from Murray et al., Eight Americas: Investigating mortality disparities across races, counties, and race-counties in the United States. PLoS Medicine 2006. Female life expectancy in US counties, 1961-1999 from Ezzati et al., The reversal of fortunes: Trends in county mortality and cross-county mortality disparities in the United States. PLoS Medicine 2008. US Health Care Costs, cont. I wrote two months ago about the mysterious differences in health care costs that I found so intriguing in a talk by Jonathan Skinner. (That was two months ago? Really?) Since then, the surgeon/author Atul Gawande has brought the mystery to the national stage. In a long story for the New Yorker, he gave the non-technical version of Skinner’s talk, and today he addressed some of the feedback that this article has received over the last month. 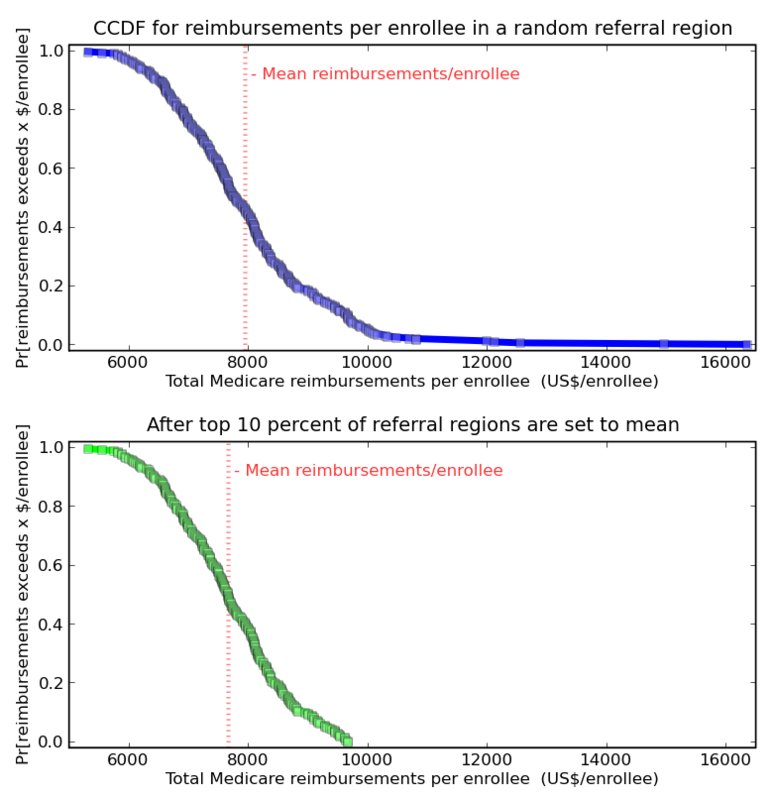 Analysis of Medicare data by the Dartmouth Atlas project shows the difference is due to marked differences in the amount of care ordered for patients—patients in McAllen receive vastly more diagnostic tests, hospital admissions, operations, specialist visits, and home nursing care than in El Paso. But that is not the end of the story. It only takes a sentence to explain the “proximal” cause of these cost differences, but it takes the whole article for Gawande to do justice to his theory on the underlying cause, and his is certainly not the only theory. Since his theory of the root cause of this inequality is centered on physicians putting profit over patients, it has made some doctors uneasy. 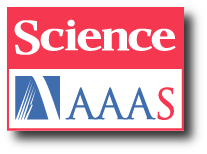 Greg Roth, a physician that I work with hadn’t had time to read the article when we last chatted, but he did attend Skinner’s talk with me two months ago. Greg told me about a detail that has emerged as doctors put Gawande’s article under their microscopes: we might be making a mountain out of molehill-sized mystery. 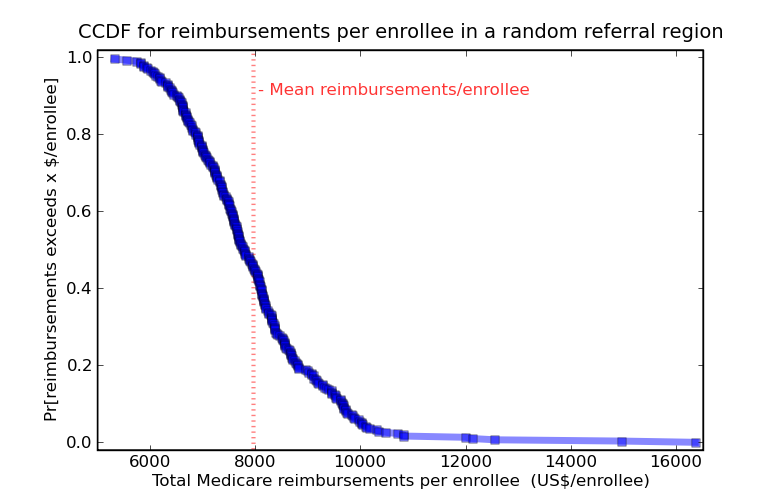 Look at this plot, which shows the complementary cumulative distribution function for the primary quantity in Gawande’s article, Total Medicare reimbursements per enrollee for 2006. Investigative reporter have to get the story, and raking the muck way out in the tail of this distribution turned out to be a good bet this time. But McAllen is 6 standard deviations above the mean (not to imply that this distribution is normal… should it be?) How much impact would it have, for the whole population, if the outliers were greatly improved? If through anti-fraud policing, better culture, and general hard work, the top 10% of hospitals reduced their cost per patient to the national average, that would reduce the average cost by 3.6%. Outliers show what is possible, but making a big change involves more than outliers.